“He went down with them and stood on a level place. A large crowd of his disciples was there and a great number of people from all over Judea, from Jerusalem, and from the coastal region around Tyre and Sidon, who had come to hear him and to be healed of their diseases. Those troubled by evil spirits were cured, and the people all tried to touch him, because power was coming from him and healing them all. Looking at his disciples, he said: ‘Blessed are you who are poor, for yours is the kingdom of God. Blessed are you who hunger now, for you will be satisfied. Blessed are you who weep now, for you will laugh. Blessed are you when people hate you, when they exclude you and insult you and reject your name as evil, because of the Son of Man. Rejoice in that day and leap for joy, because great is your reward in heaven. For that is how their ancestors treated the prophets. But woe to you who are rich, for you have already received your comfort. Woe to you who are well fed now, for you will go hungry. Woe to you who laugh now, for you will mourn and weep. Woe to you when everyone speaks well of you, for that is how their ancestors treated the false prophets.’” (Luke 6.17-26)My two daughters, and I are presently going through the teachings of Jesus every morning as I drive them to school. I love hearing their thoughts, love to hear them openly share what Jesus must have meant to those in the culture of Jesus’ day as well as what he could mean to us today. Both my daughters go to our local public schools and it is exciting to let loose “little Jesuses” each morning onto a hurting world. I can’t help but be proud of them. 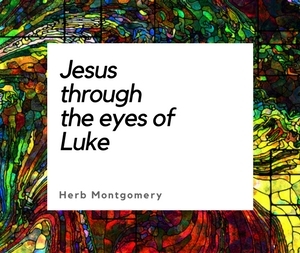 This week, we have been looking at Jesus’ sermon on the plain in Luke 6. What we’ve decided is that the good news of the Kingdom (as we looked at two eSights ago from Mark) wasn’t good news to everyone. Let me explain. In this passage, Jesus is uttering both blessings AND woes! Let’s break this down. You see, according to Deuteronomy 28, if you obey then God will bless you. If you disobey, then God will punish you. The rich, the well fed, and those whose lives were filled with laughter became so because they were blessed by God, because they were righteous. These people were spoken well of. On the other hand, those who were poor, hungry, and mourning were not less fortunate, but were morally inferior. They were sinners. In their world view, they were being punished by God because they were sinners and therefore hated, excluded, and insulted. These were not those looked on as less fortunate and in need of compassion and help, but rather those that the religious of Jesus’ day felt morally superior to. However, here Jesus has turned the old order of things on its head! He has challenged people’s preconceived pictures of God and what God’s Kingdom is really all about. He has challenged the “boxed in” opinions people have about what type of a being God is. He has portrayed God in a way completely and utterly outside of their boxes. And for those who were poor, hungry, heartbroken, hated, excluded, and insulted, the coming of Jesus’ Kingdom WAS going to be good news. But those who were rich were going to be called to share with those they felt to be sinners. Those who were well fed, would be called to feed those whom they felt to be morally inferior. Those whose life was filled with laughter and celebration would be confronted with their judgment and condemnation of those they were now called to weep with. And those spoken well of would have to disregard the value they placed on people’s opinions of them, as they too were now called to eat with tax collectors and sinners. Please remember, again, these woes were not words of condemnation. Jesus realized those who would reject him; he was lamenting their condition, not judging them. There is nothing wrong with being rich, having food to eat, and a life filled with laughter. Jesus wasn’t condemning people with those things. He was simply lamenting that they were going to be the ones hardest hit by the kingdom he had come to establish. His heart was breaking for those who had misunderstood what Deuteronomy 28 was all about. They would not understand, and they would reject him. They would claim his teachings to be too radical and dangerous, challenging the status quo and the way things had always been. All of this leads me to the central point. If God looks like Jesus, then it changes everything for us today just as much as it did for people back then. But ultimately, it means that if any are “tossed out”, in the end it will because they have rejected God’s love for others. This applies even for those whom we deem are not living or believing the way we think they should. In reality this is a rejection of God’s unconditional love for themselves as well. When Jesus said “new” he meant it. It was new because they had never—even through Moses—been taught to love the way Jesus was going to teach them. It was all rooted and grounded in a radically different picture of God than what they had gotten through Moses and Elijah. When Jesus said “new”, he meant it. Again, he meant it. He presented a God, who, contrary to everything they had been taught, didn’t look at them as transgressors deserving of punishment (contrary to the religion of both Jesus’ day and ours), but as victims who had been deceived, taken captive, and were in need of a Savior. He taught us to see others (as well as ourselves) the way God sees us. He revealed a God whose love was not only unconditional and indiscriminatory but—most importantly—non-condemning. This was a God whose justice was restorative rather than retributive; a God who, rather than demanding the death of his enemies, would rather die at their hands to set them free. The religiously superior, both in Jesus’ day and ours, will always have objections to this way of viewing God. It’s dangerous, they say, and they’ll crucify it every time if they can. But those who are poor, hungry, heartbroken, hated, insulted, judged, condemned, pushed down, and marginalized . . . well . . . they get it. Nothing destroys one’s empathy for others more completely than seeing them as “hellbound,” under the judgment of God. Jesus would challenge their most cherished assumptions about their God. It was a time of deep upheaval for people, religiously. The kingdom Jesus had come to establish would be filled with paradigm shift after paradigm shift concerning God, themselves and others. It would not be a time of peace for some, but deep questioning and change as everything, again, was being turned on its head. (John the Baptist, in warning the religious leaders of this day, referred to the powder keg Jesus was about to light as “the wrath to come.” Matthew 3.7-12). Again, Jesus would challenge their most cherished beliefs. . . and the risen Jesus is still doing the very same thing . . . today. 1)Prayerfully and thoughtfully read through Matthew 5.1-11 and Luke 6.17-26. 2)Take some time and write down how Jesus had changed your own preconceived pictures of God, yourself and others since the time you began following Him. 3)Share at least one of the most significant changes Jesus has brought to your picture of God with the group this next week.